Interested in building a new home? There’s no shortage of new neighborhoods popping up in the Tampa Bay area. From south Hillsborough – including Riverview, Apollo Beach, Ruskin, Lithia, Brandon, Valrico and Plant City – to Pasco County and everywhere in between. New construction in the greater Tampa Bay area provides seemingly endless options that won’t pop up on real estate search sites. With model homes on-site and design centers full of options, you may be tempted to navigate this process alone. After all, home builders pair you with sales representative that can show you all of the options, right? While technically this is true, working with a realtor has a number of benefits that could save you time and money. While the builder will provide a sales associate to assist you in selecting your lot, floorplan and finishes, it’s important to remember that this individual works for the builder – not you. While they will be helpful and accommodating, at the end of the day their goal is to make the sale and get the best deal for the builder. These individuals also tend to take a more aggressive sales approach, which can be overwhelming to first-time buyers and may result in you buying a home that doesn’t meet all of your needs. A realtor can serve as a buffer between you and the builder and will ensure that you are represented throughout the process and. They’ll also be your advocate should there be any delays. In the context of new construction, the least represented buyer will get the brunt of the delays. Don’t let that be you. Lastly, the builder may be more accommodating if you work with a realtor. While you will only build one house with them, we are their repeat customer and it’s in their best interest to make a good impression on us and you. There’s a lot to consider when building a home – from your budget and floorplan, to the neighborhood and amenities. A realtor can sit down with you and discuss your wants, needs and desires, and present you with all of the options that meet your criteria. Because realtors work with builders on a regular basis, they’ll also know which builders are within your budget, which will offer the best upgrades and incentives, and which neighborhoods will provide the amenities that you’re looking for. Tapping into this expertise will streamline the home buying process, saving you time and money. When building a new home, the builder will often offer financial incentives that can be used towards closing costs or upgrades in the home. A realtor can ensure that you are getting the best deal, negotiating based on their knowledge of incentives offered by other builders. In addition, they can help you select the upgrades that will add the most long-term value to your home, such as adding a third bathroom or covered patio, and decide which may be better to do on your own. When selecting these upgrades, it’s important to remember that if you live in a house long enough you may redo your kitchen, but you can’t move it. Lastly, a realtor can help put together a game plan for the sale of your current home and make sure that you are getting the most out of that investment to put towards your new home. When selling a home and moving into another, timing is everything, and an experienced realtor will help you make the most of your investment. Considering new construction? Don’t go it alone. 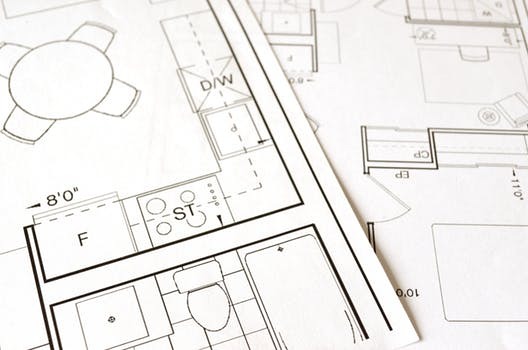 Contact ustoday to find out how our team can help you navigate the home building process.